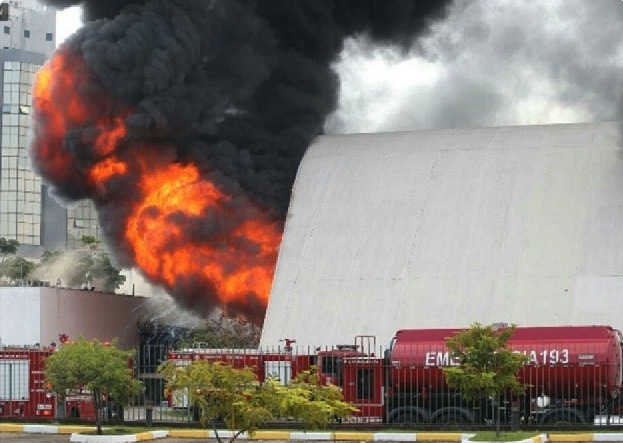 While Americans trampled over each-other for the latest consumer electronics, flames tore through the late Oscar Neimeyer’s landmark Latin America Memorial complex (1987) in São Paulo, Brazil on Friday. Inaugurated in 1989, the complex was built to promote the social, cultural, political and economic integration of Latin America. Eighty-eight firefighters were reportedly dispatched to contain the blaze that consumed portions of the 909,000 square foot complex for up to five hours. According to a spokesperson for the memorial, the blaze originated from a short circuit in the 1,600-seat Simon Bolivar auditorium, which is said to house Neimeyer’s original plans for the building. None of the building’s employees were injured, though 25 firefighters were hospitalized for smoke inhalation, two of which remained in critical condition on Saturday. While local media reported that up to 90 percent of the building’s interior was destroyed as the fire consumed chairs, melted metal, cracked walls, and shattered glass panes, it is unclear to what extent the complex’s cultural collections were harmed. 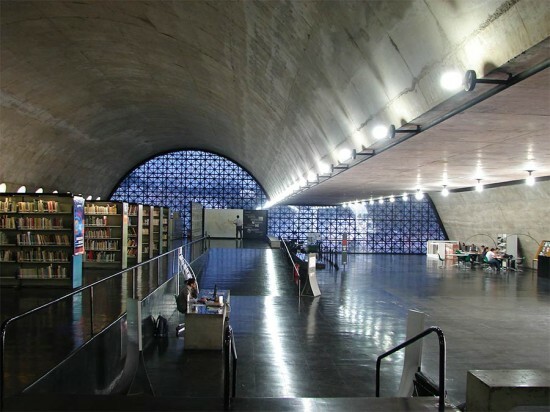 According to João Batista de Anrdade, CEO of the Latin American Memorial Foundation, an extensive cleanup of the complex was performed a few months ago, in which much of the foundations cultural and historical collection was removed. Foundation employees have been waiting for the structure to be confirmed safe before returning to assess the damage to the historic building and its collections. Whatever the damage may be, state officials have confirmed that demolition is not an option. “We will ensure the most prompt restoration of the auditorium,” Secretary of State for Culture, Marcelo Mattos Araujo told Brazilian media.